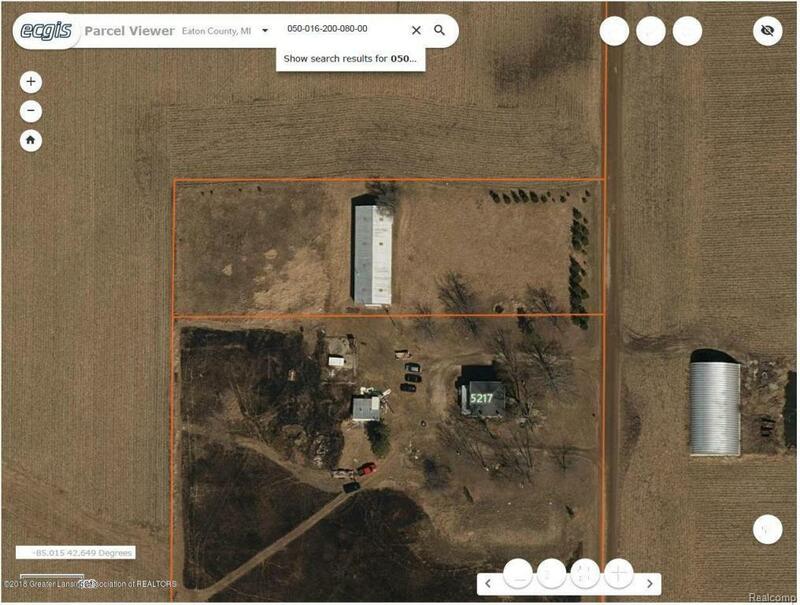 This rural lot has that pole barn every man dreams of. 40 x 100 storage which equals 4,000 sq ft or can store 25 automobiles just to give some perception of size. Can also use for business and/or many other uses from this location. Too many to list. Store your toys and many more for cash or rental income. Lots of room to build a home on the site with beautiful views. IDX provided courtesy of Realcomp II Ltd., via Century 21 Cedarwood and Greater Lansing AOR MLS, ©2019 Realcomp II Ltd. Shareholders.